When many people think about Argentina and food, the first thing that often comes to mind is meat and beef. On our quest to understand the authentic food, one of the first things that struck us is the dominance of the Italian influence in Buenos Aires. Talking about food specialties would not be complete without mentioning the large Italian influence that has shaped Argentinian food. Why is that? Well, it is estimated that up to 60% of the Argentines have some degree of Italian descent, making it the largest ethnic group in the country. The majority of the Italian immigrants came to Argentina at the beginning of the 20th century. Needless to say, Italy has left a large imprint on the food culture of Argentina. 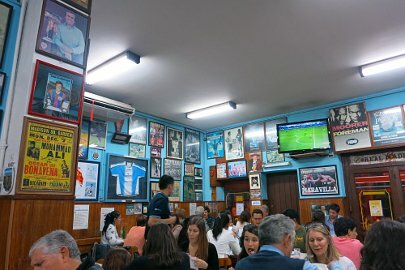 In our opinion, there are the four Italian food specialties with a unique Argentinian twist that you don’t want to miss out on. First, you cannot come to Buenos Aires and not try the Milanesa. What is it? 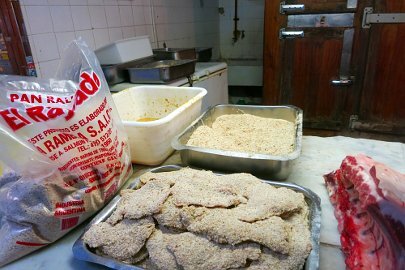 The most common type of milanesa is made out of a thin slice of beef covered with bread crumbs. Other types are made with chicken or cod fish. 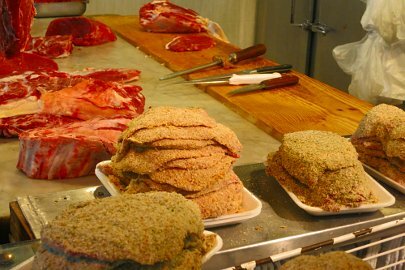 If you want to check out how the milanesa is made, visit Mercado del Progresso to see how the butchers carefully prepare beef, beating it up to make it as thin as possible and then adding the bread crumbs. Really interesting! You can find the bread crumbs in many supermarket and bakeries. The Milanesa can be served in many different ways. One of the most typical is the Milanesa Napolitana. 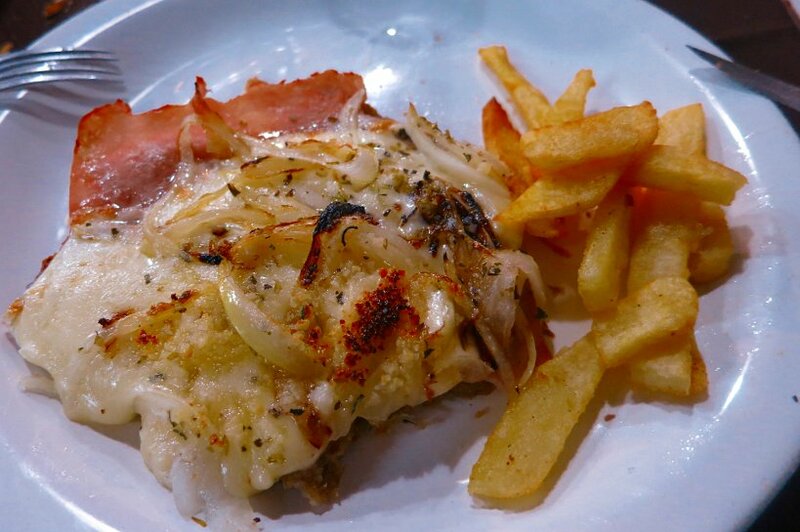 It is a Milanesa covered with ham, tomato sauce and melted mozzarella cheese. It is usually served with patatas fritas (french fries) or puree. 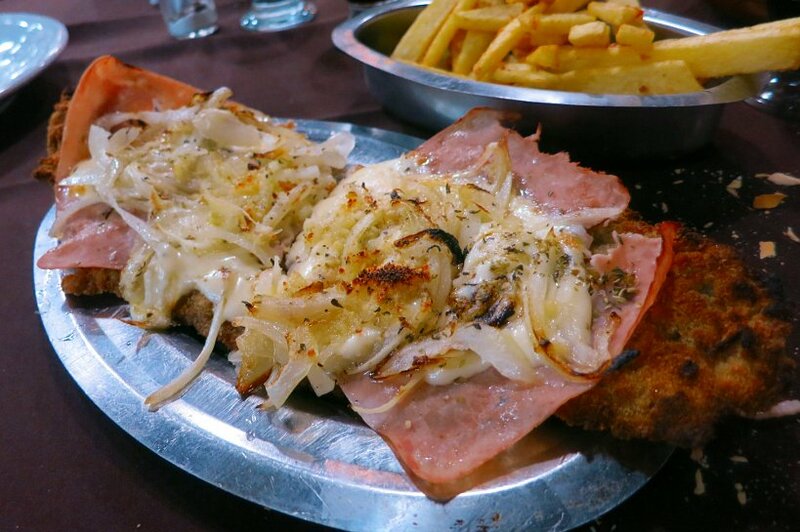 If you want to try all the different preparations of Milanesa, you might want to check out the “Club de la Milanesa” that local portenos swear by. 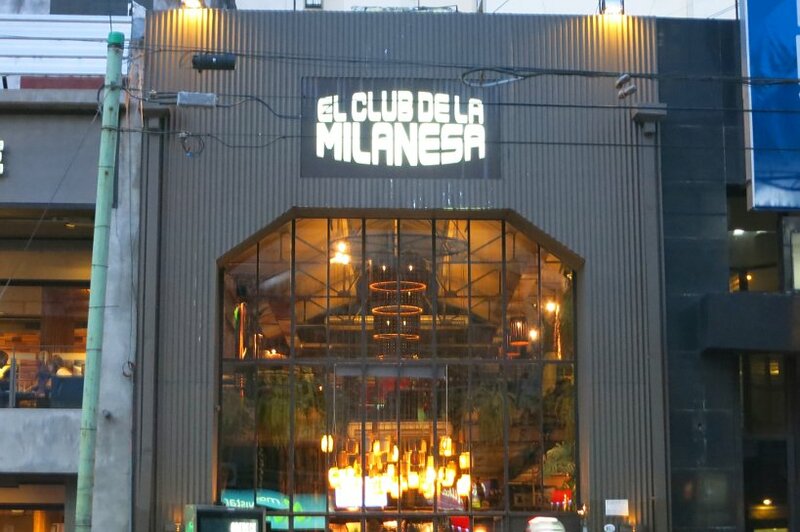 It is a unique restaurant chain in Buenos Aires that specialises on Milanesa in all its different form and cooking styles. It might not be the most authentic experience, but you will have for sure, “l’embarras du choix” , which means many choices in French, when it comes to Milanesa. The decor needs a special mention. It is not a big restaurant, but a small restaurant on a busy street. Once you walk in, you find yourself surrounded by oldies music record albums from the 50s to the 80s, and the music that goes along with it. Quite interesting decor! Great service, very attentive, with one chef and one server. It really feels like a local restaurant and it was packed with locals from the neighborhood. When it comes to Pizza, Argentinians bring their own style. 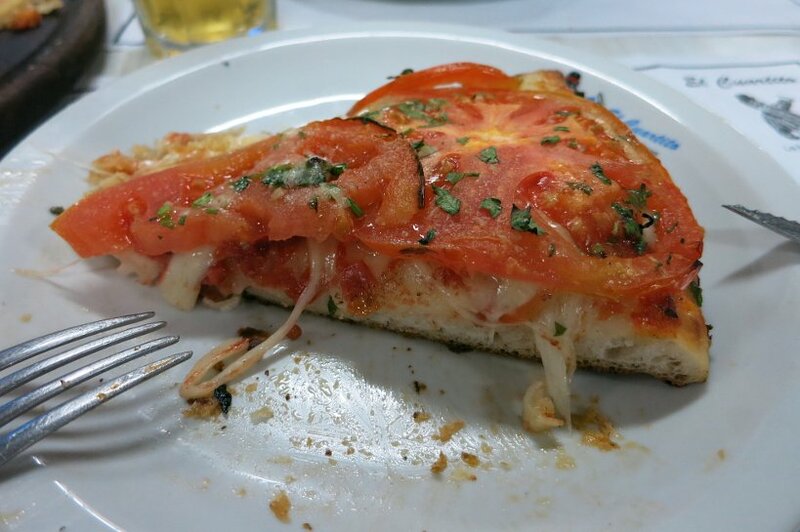 The most typical Argentinian pizza is made of a thick dough, a bit chewy and comes with a lot of cheese. It is served with different topping from Mozzarella to Napolitana style. 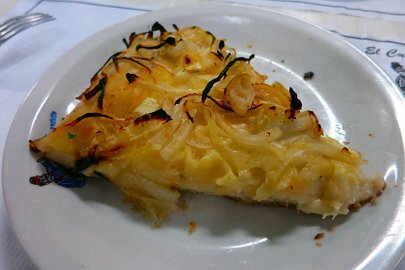 The other unique type of pizza that exists in Argentina is the Fugazzeta, which is a thick doughy pizza with gooey cheese in the dough topped with onion. Interestingly, most of the pizza is accompanied with Faina. 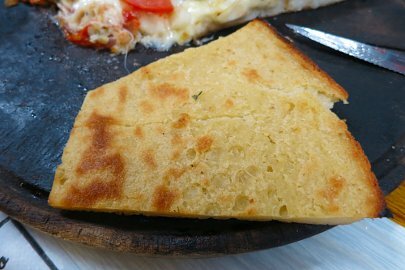 This is it a flat pancake-like bread made of of garbanzo beans, which is delicious and has the side benefit of filling you up with your protein intake. 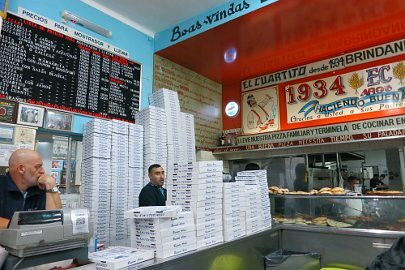 To experience the pizza, the best option is to try it out at one of the oldest pizza places in Buenos Aires like El Cuartito. Having been recommended by several portenos as the best place for pizza, we checked it out. The first thing that surprised us was the long line out the door. It’s a huge restaurant with plenty of seating, the line is just an indication of it’s popularity. However, don’t be intimidated by the line as it moves quite rapidly. Standing outside also gives you time to appreciate the ambiance and to look over the menu while waiting. One of the best things is that they offer pizza by the slice, so you can sample different styles of pizza instead of ordering just one kind. Our opinion: very tasty pizza, fresh and filling. 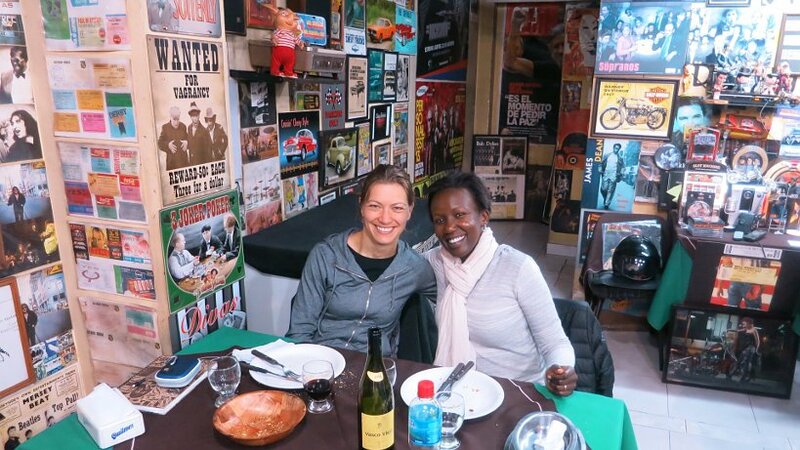 It is an experience not to miss out while in BA! You will find lots of stores selling pastas artesanales and we recommend that you check them out. Look for the ones with the longest lines and try them out! 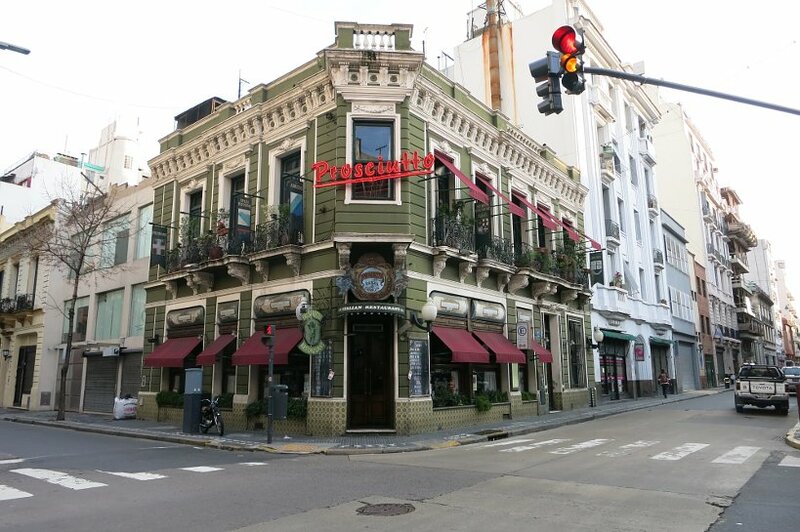 One of the most successful and well-known in Buenos Aires is La Juvenil which has 20 locations. 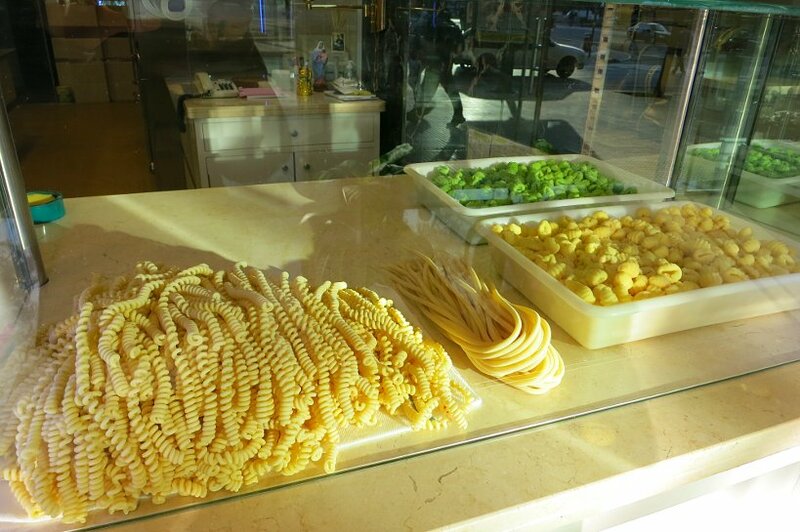 They offer many different types of pastas and they also give you cooking recommendations. 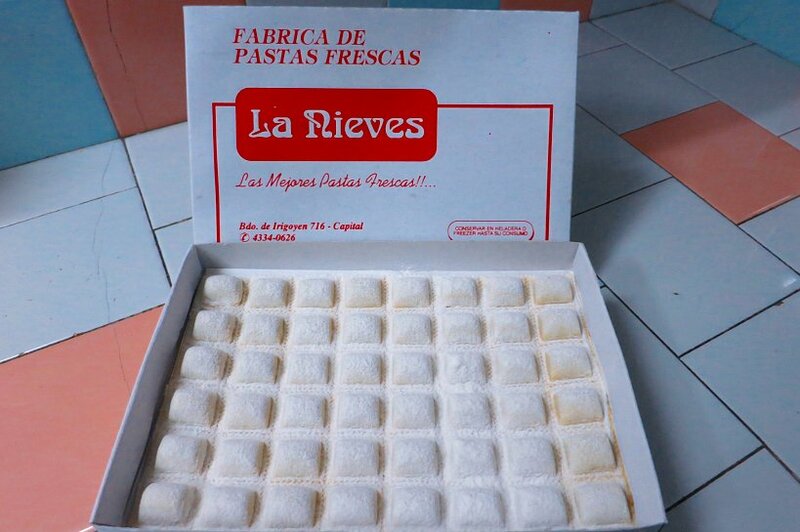 We decided to give the pasta a try and picked some up in the neighborhood we are staying, at La Nieves Pasta Artisanales Bernado de Iriguyen 716, in Montserrat. We opted to go with the pollo y espinacha ravioles. These are ravioles filled with chicken, spinach and a bit of cheese. 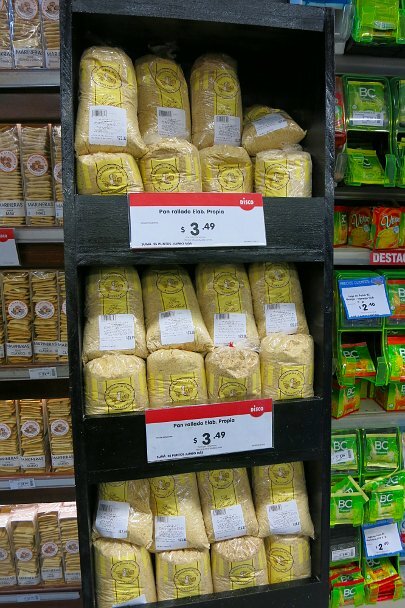 In general, pasta is sold by the kilo at very affordable prices. The ravioles are sold by the plancha which means, by the board, which has about 48 individual ravioles, more than enough for two people. As far as restaurants serving pasta go, Prosciutto offers an extensive list of pasta at very affordable prices. 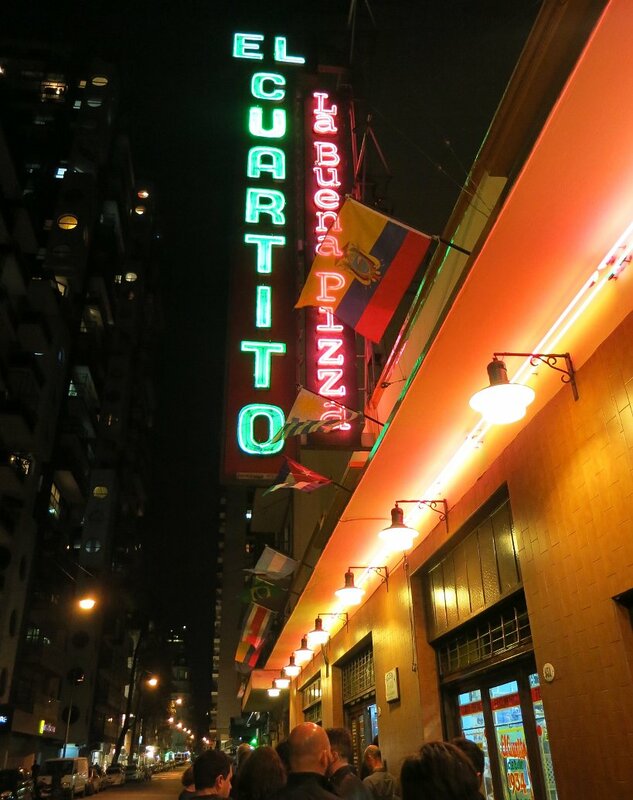 They have four locations in Buenos Aires. You will find their restaurant listing on their website. Be aware that the serving portions are quite large. Helados is ice-cream in Spanish, and Argentinians have mastered the art of making of ice-cream. 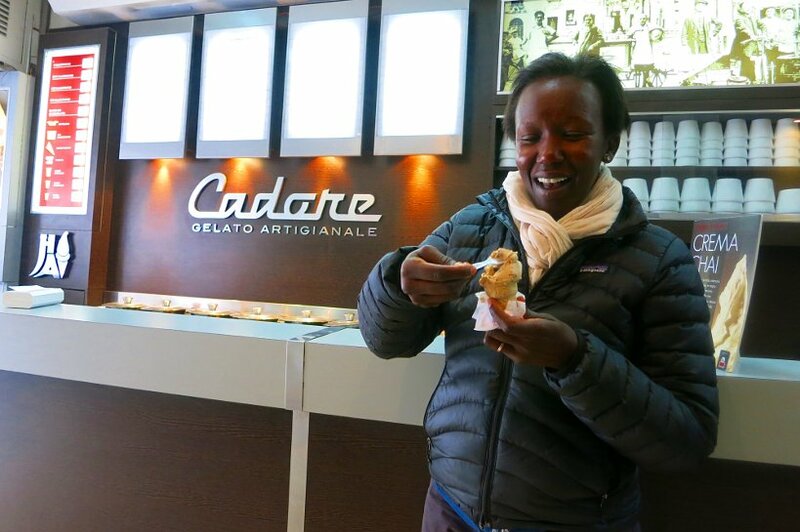 Many have said that the ice cream here is better than in Italy and we can’t disagree. 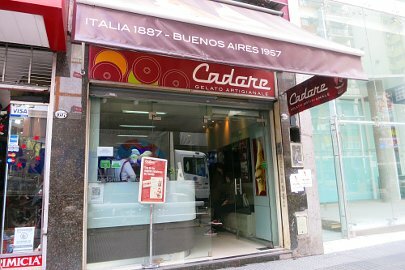 In Buenos Aires, you will find artisanal stores as well as well-known chains that can serve you the very best helados. 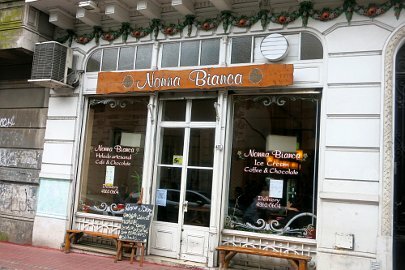 For artisanal helados, we recommend Nonna Bianca Estados Unidos 425, in San Telmo or Cadore, Av. Corrientes 1695, in Tribunales. Here, you will find many choices when it comes to flavors. We recommend to try the most typical ones from the region such as dulce de leche or flavors using mate. 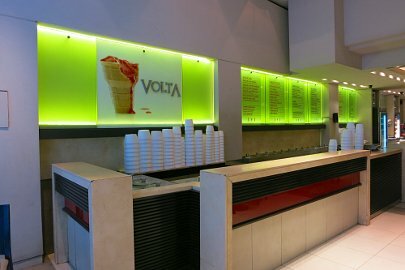 There are other popular chains that you will find in the area are Freddo, Persicco or Un Altra Volta which all offer very good ice-cream as well. Apparently, the three stores were once owned by two brother and a business associate. When one of the partners passed away, the stores were divided up with one store getting the signature recipes, the other getting the cash and the final one the flavors. They all stem from the same root and you will not go wrong at any of them. 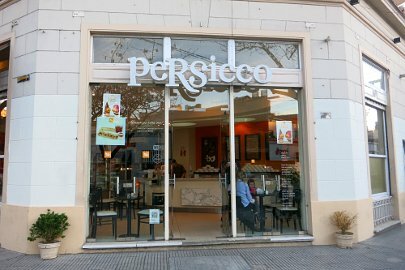 We tried out the ice cream at Persicco and enjoyed a deliciously silky dulce de leche cone. Argentina has a lot more to offer than beef, parillas and asados, when it comes to the food. The Italian influence with it’s unique Argentinian twist has undeniably shaped the food landscape. Be sure to go beyond the meat when you in Argentina and taste the Italian influence. Have you tried any of these Argentina dishes with Italian influence? Tell us which ones in the comments below. Thanks Saiful for your comments. It’s amazing just how prevalent Italian cuisine is around the world. We’ve not had a chance to explore Bangladesh food and culture yet. 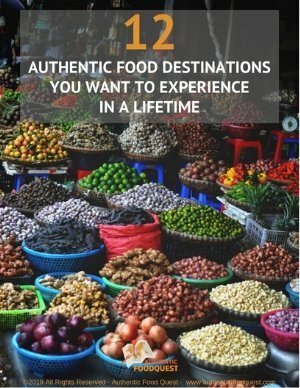 Are there regions and specialties you recommend visiting? Yes, there is. The specialties are: Sundarbans the largest mangrove forest on earth where you can explore hundreds of wild species of animals including deer & tiger, an overnight cruise by Rocket Peddle Steamer, 7 layers tea in Sylhet a totally green region, archeological sites and their typical flavored dishes are awesome. Thanks Saiful for the insights on Bangladesh specialties!